You might have stuck with blue screen on your Computer while playing a video game. It indicates an error that reads CLOCK_WATCHDOG-TIMEOUT. 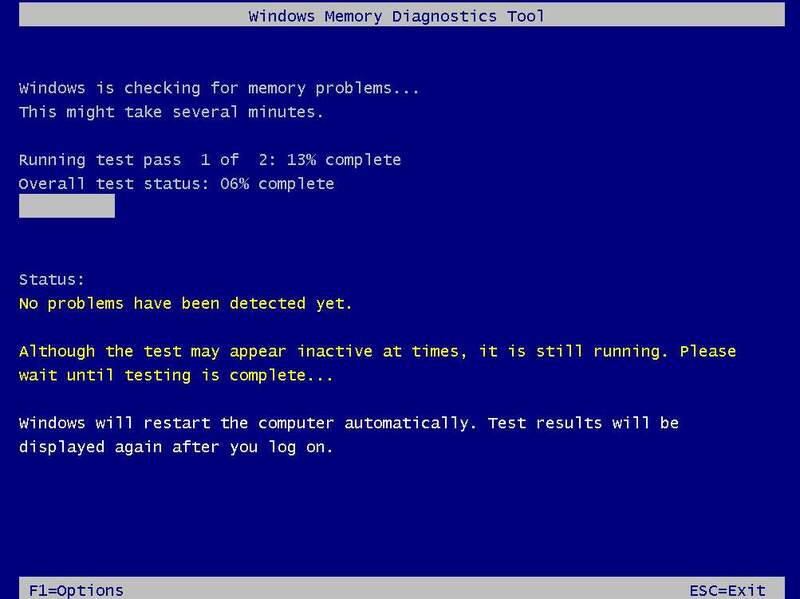 This article aims to guide you to fix the issue “Clock Watchdog Timeout bsod Windows 10”. How does the “Clock Watchdog Timeout bsod Windows 10” issue occur? “Clock Watchdog Timeout blue Screen Windows 10” occurs when the processor is not able to continue processing of tasks because its resources are occupied and are interdependent to get free. This stage of the processor is termed as the processor is deadlocked. If the problems occur, your computer turns into a blue screen all of sudden and the error written as CLOCK_WATCHDOG_TIMEOUT. If “Clock Watchdog Timeout bsod Windows 10” happens first time with your computer, you must check whether you have all the Windows Update patches installed correctly. 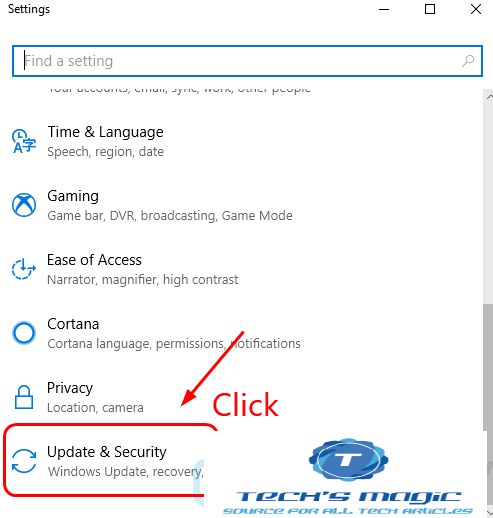 Press the Windows logo Key and I A pop-up will appear, choose the Update and Security option from there. Wait until the Windows check for the available for your computer. You have nothing to here, if any updates are required, it’ll automatically install them. 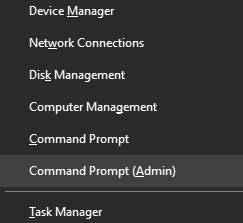 Once the process is done, do Restart your Computer and see whether the problem is gone or not. If not, then follow the next method provided below. Screen Windows 10” or the blue screen of the death issue. Do verify whether devices in your system are on the right place. In case, some are not, then do update then to fix their place to the original. Manual driver update: Update your device drivers manually by going to the manufacturer’s website for your hardware devices, and then search for the most recent correct driver for each. Choose the compatible driver with for Windows 10 Computer. Automatically driver update: The manual driver update method is time consuming and requires much skill. So, in lack of this, you may prefer the automatically drier update with Driver Easy. 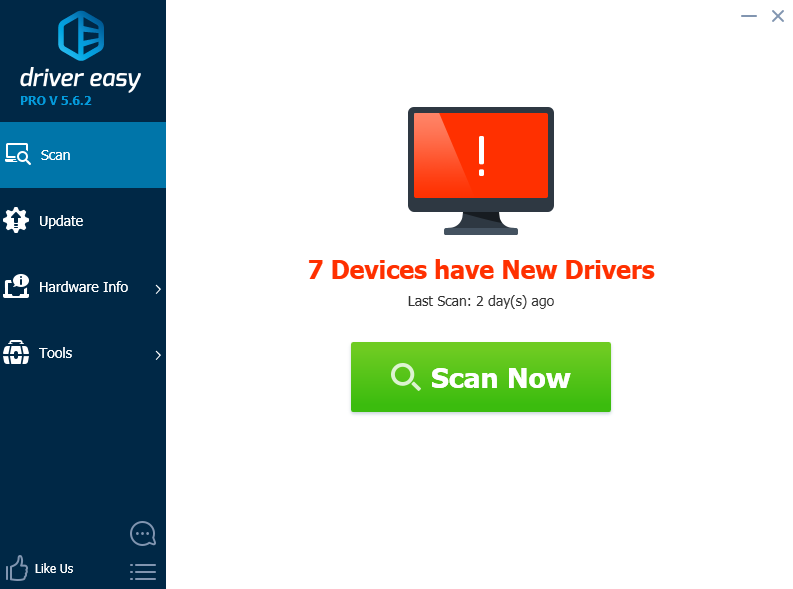 The Driver Easy will automatically recognize the drivers that require correction. 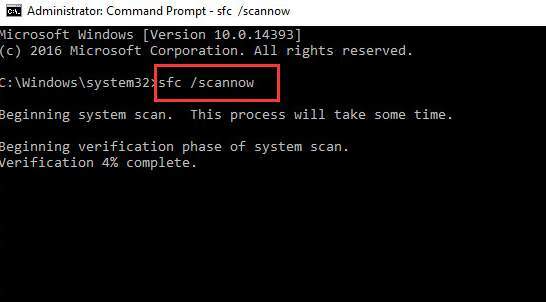 Run the Driver Easy and click on the Scan Now It starts scanning your computer and detects any problem drivers. 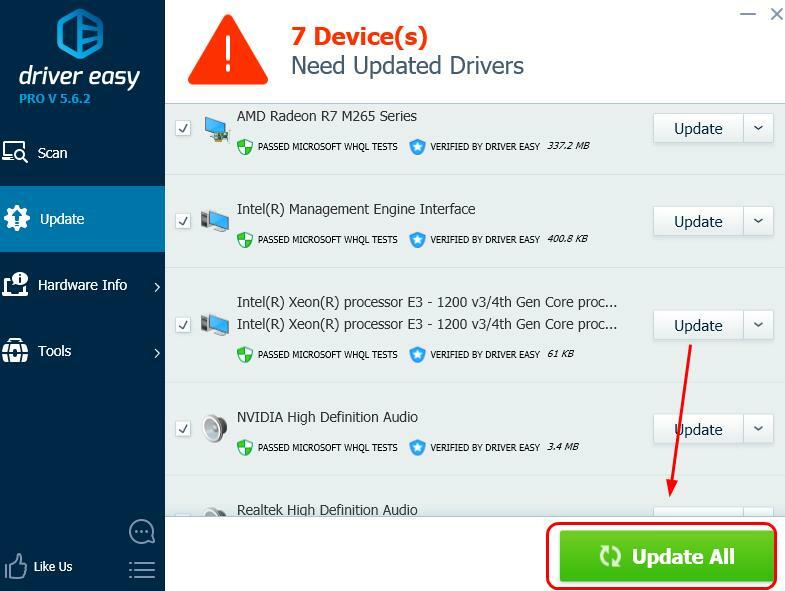 Or click Update All to automatically download and install the correct version of the drivers. Try to fix the issue by this method, if the previous two methods failed to do so. Interference of third party antivirus program could be the reason for your computer showing blue screen of death issue. So, do disable your antivirus program for temporarily and see whether the problem persists. There are different ways to go to the BIOS settings in different PCs. Consult to manufacturer for your computer for the details if you have not much knowledge about the BIOS, since it is a critical setting you should need to do any activity that’s beyond your knowledge. 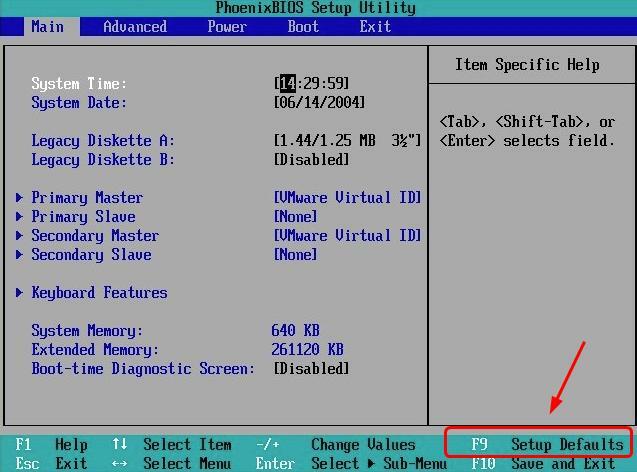 Follow the instruction provided onscreen to set the BIOS setting to the default. Then, restart your Computer. Looks whether problem persists or is solved. If the problem still persists, you should update the BIOS. 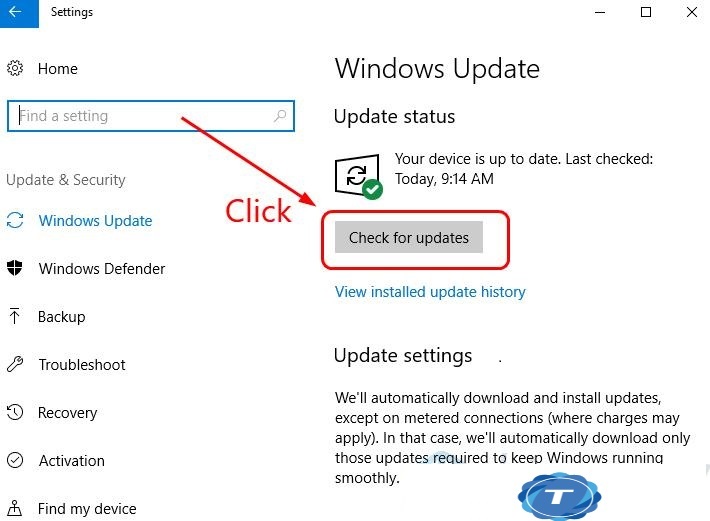 Consult to head to your PC manufacturer’s website to check for and download the last BIOS update to your PC (if it is a brand computer). The built computer users should go to the manufacturer website for their PC motherboard. You can download the BIOS update on the website from the Support or Download section. 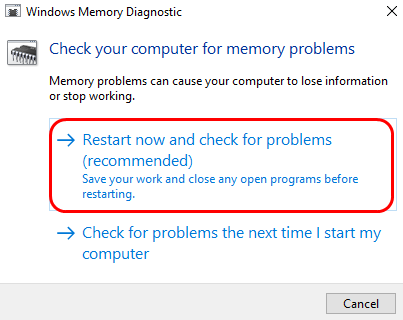 This method helps when the blue screen issue occurs due to errors in your hardware memory. 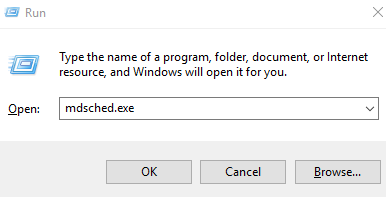 Press the Windows logo key and R at the same time then type mdsched.exe. Pc will start after this automatically and the process of scanning starts. Wait until the scans process will finish. After the process has finished, restart your system to check whether the problem get resolved. If the system files are corrupted or lost and if this is the main reason behind the blue screen of death error, you can try to fix this issue by running the built-in System File Checker. Press Windows logo Key and X at the same time. Type Sfc/scannow and press Enter key. Restart your computer, when the check is done. These methods prescribed above would help you to get rid of the blue screen of death error. You need use the all method, try the one that you think it might be the reason for your trouble on the system. If the recommended suggestion help you in anyway do share it on comment section.